Finding your way as a first time college student at a new school can take time and effort. As one of our favorite Skechers team members is just over a month into her third year at Stanford, we asked her to give us some insight and tips on surviving campus life and how Skechers fits in to her Fall Semester. In October on campus, it can be especially hard to dress correctly for the weather when it’s freezing in the morning, 80 degrees by the afternoon, and anywhere in between in the classrooms! 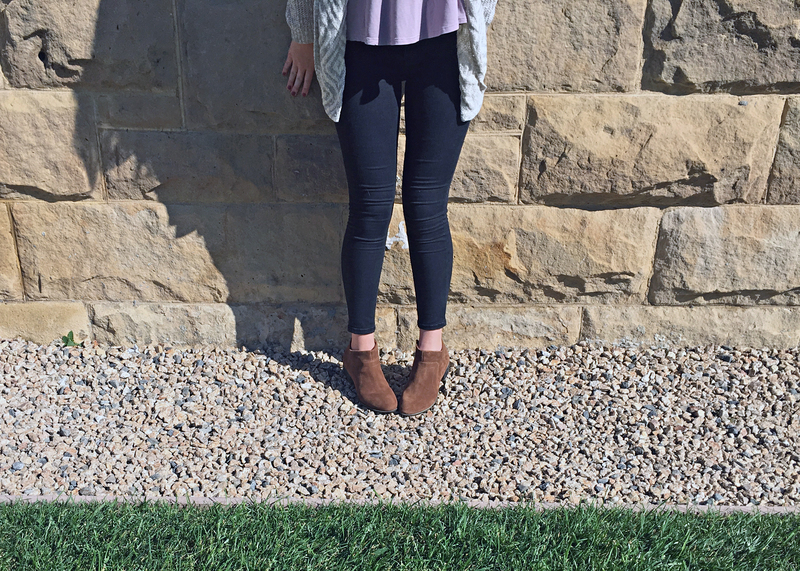 Ankle booties like the Skechers Lovely keep you warm in the mornings and during cold classes, but allow for ventilation when it heats up. Light sweaters are crucial for layering during this transitional time of year, and they’re especially versatile when thrown on over a breathable tank top. October is also a time when you might feel a lull in motivation after getting settled into the swing of things on campus. So try to remember the excitement you had at the beginning of the semester! Maybe you’ve stopped writing down your assignments or meetings in your calendar, or maybe you never had one to begin with. Maybe your exercise routine has fallen flat as you’ve become busy with other commitments. As fall kicks into full gear, take the time to review your habits and make sure you’re still doing your best to stay organized. The leather Relaxed Fit Palen – Demore for men or the burgundy Skechers Originals OG 82 for women deliver on comfort through long study sessions. Get a planner or use the calendar in your phone! Schedule when you are going to do which homework. Even if you don’t get to the exact assignment you scheduled, you’ll still have a dedicated time to work on whatever you need to. Find your ideal study environment. Do you need silence to read? Or do you like having people around? Are study groups your thing? Try out different options to see what you like best. In class, if the professor defines a key concept or term, write it down in your notes. Also take notes on assigned readings. That way you’ll have a quick summary of the main points and what you think about them, and you can review those notes before the test – instead of having to skim the whole reading over again! 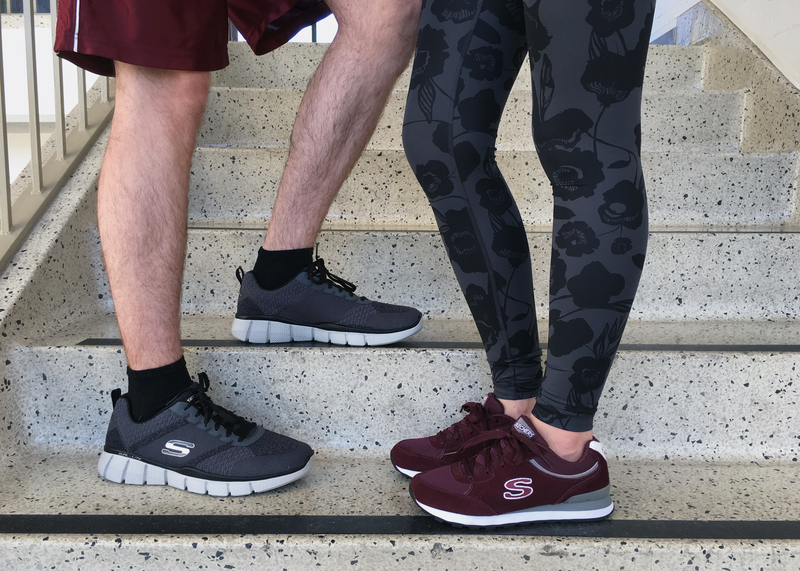 The men’s Equalizer 2.0 or the women’s Skech-Air Varsity are great footwear options for a quick workout. Just like you should do for studying, schedule in time for exercise. This will keep you more accountable because you know you have the time to work out! Thinking ahead will also help you prepare better, for example wearing your exercise clothes to class so you can work out right after. Get going with a pump-up playlist – whether it’s EDM, pop, or rock, make sure it’s full of your favorite upbeat music. Find a form of exercise you actually enjoy! There are so many different ways to do cardio, toning, and resistance exercises. For cardio try cycling, jogging, speed-walking, swimming, dancing, or anything else that gets your heart rate up. As for more focused muscle building, try a barre class, weightlifting, Pilates, or yoga! If you look forward to exercising, it will be so much easier to find the time for it. Your campus gym can also be a great resource. Look into whether they offer free or discounted access and explore everything it has to offer. Don’t be afraid to wander around slowly learning the ropes of the machines or weights – that’s what they’re there for! Everyone has to start somewhere. What are your tips and tricks for staying motivated both academically and on the fitness front through the experience of college? Tell us in the comments!